In my recent Policy & Politics article, my review of the literature on evidence-based policy (henceforth, EBP) leads me to two main conclusions. The first is that the EBP experience is a re-run of the campaign for the “policy sciences” of the immediate postwar era, and that the distinguished scholars of that period already provided most of the answers advocates of EBP might require. The second is that, while it does not occur to those advocates to question the underlying premises of EBP, let alone examine the literature by those who have studied it at first hand, there is a sophisticated and well-informed community of scholars who both asked the question and did the research. This means that when we think of the EBP movement, we should imagine two different components. Firstly a populous fringe of noisy and visible but unsophisticated advocates whose convictions of the obvious merits of EBP far exceed their substantive knowledge of the conditions of policy work, and secondly, a much smaller but more significant set of scholars who have actually researched the phenomenon. I call the first crowd the Reinforce School. They want government to “get on board”. They can be identified by their insistence that government should do this, that and the other; the onus is on governments which are alleged to have been intellectually or morally underperforming. The problem is that these advocates of evidence-based policy have not read the evidence on EBP. I then divide the second group – those scholars who study EBP – into three further schools. The largest of them is the Reform School, which argues that a series of adjustments here and there by both researchers and policy-makers can realize the potential of EBP. The Reform School are people who believe in the merits of the EBP idea but are discouraged by the experience of EBP on the ground. They recognize that it is hard to identify many successes to put on the EBP “Roll of Honour”, and they attempt to formulate measures to improve the hit rate. These measures are incremental; they do not question the foundations of either research or government practice. The next school attacks the fundamentals. It sees the same ambiguous, if not unsuccessful, record as the Reform School. I call this group the Reinvent School because it demands major changes in either the evaluation of research which is destined to support public policy, or the application of research by policy-makers, or both. For this school, the potential of EBP would justify a much larger investment of time, energy and money than EBP currently attracts. Extensive innovations must be undertaken to realize that potential. The last school, the Reject School, does not believe that the EBP idea can promise any important improvements in the making of public policy. These scholars do not question the use of organized knowledge in the making of public policy. They just do not believe that there is a vast corpus of knowledge currently being ignored by government to the detriment of citizens. 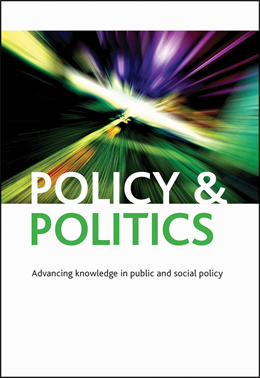 The Rejectionists argue that much of what researchers do results in work unsuited for policy-making because it is designed to achieve grants and publications, rather than solve the practical problems of the development and implementation of public policy. Public problems are too complex for disciplinary methods. A hunger for certainty and security on the part of citizens induces inflated claims by the community of knowledge producers, but these claims ultimately prove empty, or, worse, misleading. Moreover, scientists’ posture above the fray is equally empty; their choice of projects, their provision of advice, their attempts to achieve positional goods, mark them as no more nor less qualified than many other citizens to influence policy. I conclude that to respond to the challenges facing EBP, researchers must consider taking a range of actions. Firstly, they must develop a more realistic grasp of the task environment in which ministers and senior officials operate., Secondly they must reject naïve but prevalent assumptions about the level of analytical rationality in government. Thirdly, they must recognise that direct and sustained engagement with policy-makers, found to be the best predictor of the successful practice of EBP, may not be compatible with career advancement in academia, and the prospects for reconciling these more closely must be considered Finally they must compare the startling variety of prescriptions from the various schools of thought on EBP and attempt to arrive at a realistic and constructive consensus.